5 minutes with the General Manager of EverEscents! Written by EverEscents on August 25, 2017 . Posted in Feel good stuff!. How long have you owned EverEscents for? For nearly 11 years now, wow how time flies when you’re having fun! Written by EverEscents on April 19, 2015 . Posted in Feel good stuff!. With Mother’s day just around the corner, I wanted to dedicate an EverEscents blog to my wonderful Mum, Kaye! A Mothers role never really ends; it just changes as your kids grow up. As a 38 year old I am still constantly learning things from my amazing Mum. She has been my source of information and inspiration for many years and has certainly had a large influence on the direction that my life has taken. My Mum was a very alternative Mother, who was way ahead of her time 30 years ago! What we take for granted as pretty normal these days, Mum was getting called “crazy” for (healthy eating, naturopathy, homeopathy, living chemical free etc). As I became an adult, my upbringing resonated with me and it was perfect timing that my new husband, Luke, and I were looking for a business to purchase in our home of Coolum Beach on the Sunshine Coast. I was introduced to the founder of EverEscents Organic Hair Care, Leone Martin through a friend. I loved the brand she had created and the ethos behind it. EverEscents ticked all the boxes for me as a business and I knew it was something I would be passionate about. We took over the reins in January 2007 and haven’t looked back! We started our own family in 2009 and have our second bub due this year. Since having children, it certainly changes the way you see your own Mum and generates a whole new level of respect and honour to them. Being a parent is one of the hardest jobs anyone can do and setting up your children with the best start to life can definitely be a challenge. I would like to personally thank my Mum (& Dad of course!!) for giving me an amazing start to life and for continuing to support Luke and I in running EverEscents. They are now amazing grandparents, and so the Circle of Life continues. :) So thank you Mum, love you loads!! For Mother’s day, here at EverEscents we have a beautiful gift pack (designed by our very talented graphic designer, Craig) which contains an Organic Shampoo & Organic Conditioner of your choice and has a FREE Organic Deep Treatment so is a great value way to say thanks to your Mum and tell her you love her! Check them out at your local salon stockist here http://www.everescents.com.au/salon-locations/ or grab one online here http://www.everescents.com.au/shop/current-promotions. Written by Julia Charters, General Manager, EverEscents Organic Hair Care, April 2015. Written by EverEscents on March 31, 2015 . Posted in Feel good stuff!. Many people are wondering what Easter actually means, as the true meaning of Easter has been lost. Some say the word Easter is derived from Eostre (also known as Ostara), an ancient Anglo-Saxon Goddess. She symbolized the rebirth of the day at dawn and the rebirth of life in the spring. The arrival of spring was celebrated all over the world long before the religious meaning became associated with Easter. The egg has long been a symbol of ‘fertility’, ‘rebirth’ and ‘the beginning’. In Egyptian mythology, the phoenix burns its nest to be reborn later from the egg that is left; Hindu scriptures relate that the world developed from an egg. The 17th and 18th centuries saw the manufacture of egg-shaped toys, which were given to children at Easter. The Victorians had cardboard, ‘plush’ and satin covered eggs filled with Easter gifts and chocolates. The ultimate egg-shaped Easter gifts must have been the fabulous jewelled creations of Carl Fabergé made during the 19th century for the Russian Czar and Czarina, now precious museum pieces. You’re powerful as a consumer – what you choose to buy shapes the world we live in and can literally change someone’s life for the better. Fair Trade doesn’t just guarantee a farmer gets paid properly for their hard work. It can also build schools, medical centres and water pumps – helping people lift themselves out of poverty. Chocolate. It’s a global obsession — and it’s big business. Western African countries, mostly Ghana and the Ivory Coast, supply more than 70% of the world’s cocoa. But the giant food industry can often be unjust in developing countries. As a result, farmers are not paid a living wage for their hard work. As a consumer, you play an essential role. Fair Trade guarantees a minimum set wage and improves standards of living through community healthcare, education, training and assistance with business matters. 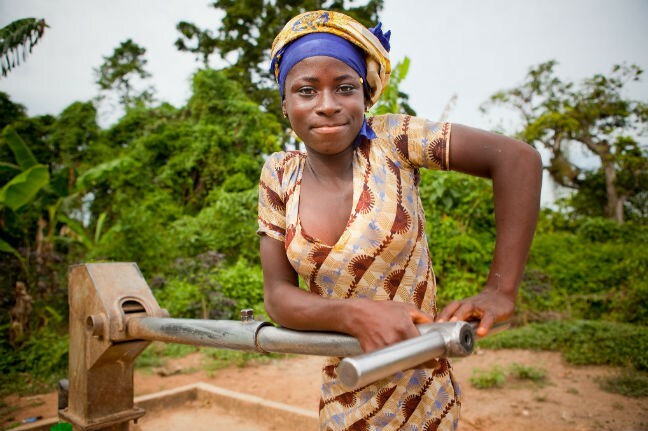 Afia (14), collects water in Asansua village (in the Central Region of Ghana) for her family, who work as caretaker farmers with Fairtrade cocoa farmers in the Kuapa Kokoo cooperative. Fairtrade premium payments to the cooperative were used to construct the borehole so that people in Asansua can collect clean water close to home. The team at EverEscents wish all of our loyal fan’s a wonderful Easter long weekend and hope you enjoy some delicious Fairtrade goodies! Written by EverEscents on January 25, 2015 . Posted in Feel good stuff!. Green smoothies have so many amazing health benefits! The ingredients can include; spinach, lettuce, kale, and collard greens; for the more advanced green smoothie drinker you can also add; parsley, dandelion greens, watercress — really any leafy green veggie your palate can handle! Bananas, apples, pears, avocado, and mango are great companions in these beverages and by drinking these smoothies your body will absorb all the wonderful nutrients that these foods have to offer. See a list below of all the benefits that drinking a green smoothie provide! 1) Weight loss. Increasing the number of fruit and vegetables you eat in a day gives your body an opportunity to shed excess fat and water weight built up from toxins stored in the body. 2) Weight gain. If you are trying to gain weight, it is much easier to add a filling green smoothie to your existing diet and drink your extra calories that you need to put on weight. 3) More energy. If you start the day with a green smoothie you will notice a massive increase in the amount of energy you have. 4) Mental clarity: Junk food, especially processed white flour and sugar can clog our minds making our brains feel cloudy. Drinking green smoothies will clear your mind and free up your creativity so you can think more easily. 5) Crave less junk: When you increase the amount of healthy foods in your diet and decrease the unhealthy foods you will naturally stop craving junk food and crave more of the same healthy food. 6) Less snacking: A filling green smoothie normally contains the right amount of calories for one healthy meal. And because the ingredients are generally low GI, they will keep your blood sugar levels low until lunch time helping you to cut out snacking altogether. 7) Improves skin. The amount of acne may reduce when you improve your diet by drinking more green smoothies. 8) Lessens wrinkles: The increased fluids and power of natural foods in your diet will hydrate your skin and reduce your wrinkles making you look younger. 9) Reduce the risk of serious diseases: It is well known that one way of preventing cancer and heart disease is to increase the number of fruit and vegetables in your diet. The more green smoothies you drink, the lower your risk. 10) Improve your immunity to colds, flu and other bugs and feel generally amazing. 11) Improve your digestion, detox and get your health off to a flying start today. A green smoothie will be guaranteed to get everything moving in the morning. Green smoothies offer pure nutrition. The amount of vitamins you’ll get depends on the fruits and vegetables you choose for the smoothie. However, most fruits and vegetables are high in vitamins A and C. Guava is also high in folate, while avocados provide high amounts of potassium and magnesium. Green smoothies are much more beneficial than fruit or vegetable juices. When juices are extracted, you get vitamins and minerals but no fibre. However, smoothies are made using the whole fruit/vegetable, so you get all the fibre in your drink. Written by EverEscents on December 9, 2013 . Posted in Feel good stuff!. Pit the dates yourself, extracting each pit and discarding. Add the dates, coconut flakes and walnuts to the food processor and mix on high until thoroughly mixed. Press the mixture into the bottom and sides of a pie tray. Set to the side. Blend all filling ingredients together in the blender until smooth. Pour onto the crust of the tray, and garnish with fresh, raw pecans. Set in freezer overnight, or for at least 5 hours before serving. Remove from freezer for about 10 minutes or so (depending on your freezer) to let it thaw a bit. Slice up and enjoy! Written by EverEscents on November 10, 2013 . Posted in Feel good stuff!. Preheat your oven to 175 degrees Celcius or 350 degrees Fahrenheit. Line a square 20x20cm cake tin with baking paper. In your blender or food processor chop the carrots and orange until very fine, add the remaining ingredients, mix well, spoon into the prepared pan and level the top. Bake for 35 minutes, cover with foil and bake for an additional 5 minutes. The cake should be golden on top and an inserted skewer will come out cleanly. Allow cake to cool in pan before gently flipping onto a cooling rack. To make the frosting blend the first three ingredients at high speed until very well combined, mix in the melted butter or coconut oil. Spread the frosting over the cooled cake. Enjoy. Written by EverEscents on October 9, 2013 . Posted in Feel good stuff!. Tiarna in the EverEscents office loves making this guilt-free treat for her friends and family which receives raving reviews! Line a loaf tin with baking paper hanging over the sides for easy removal. Blend the base ingredients until the dates and coconut resemble crumbs and the mixture is clumping together, press the mixture firmly into a loaf tin. If you cover this with baking paper and use a book to press it down you will get a nice smooth, level base. Place in the fridge of freezer to set. Thoroughly blend the cashews, salt and coconut until you have a nice smooth consistency, you may need to scrape the mixture back onto the blades and pulse this a few times. Add in the honey and peppermint and blend quickly, just enough to combine. Press this mixture over your base, again you could use the book technique to ensure a nice smooth finish. Blend the topping ingredients at a high speed until it resembles melted chocolate. Pour this mixture over your slice and spread it out evenly. Pop it in the fridge to set. Written by EverEscents on August 18, 2013 . Posted in Feel good stuff!. Here at EverEscents we love to give, not just by providing EverEscents Organic Hair Care products that are free from all nasties to the community at large but also through charity. 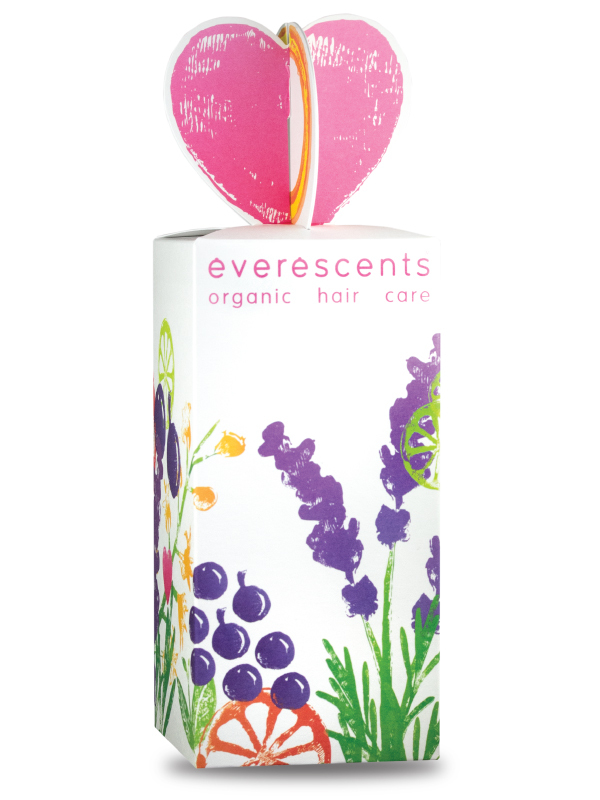 Since April 2005, EverEscents Organic Hair Care have supported Camp Quality. Camp Quality is the children’s family cancer charity that believes in building resilience in the lives of every child living with cancer and their family in Australia. Camp Quality create an optimistic community for the families through fun therapy and education. They believe laughter is the best medicine. Through merchandising and licensing alliances, EverEscents donates 5c from every EverEscents Organic Hair Care product that is sold. Our regular donation to a charity made us question and wonder about other Australians and what they are doing for their community and we found out some interesting facts in our search for information. Matt Wade from The Sydney Morning Herald (SMH) reported in December 2012 that the World Giving Index ranked Australians as the world’s most charitable people. It found that, in a typical month, 76 per cent of Australians donate money (second on the index) 37 per cent volunteered time (12th) and 67 per cent helped a stranger. The index also showed Australia has the highest index score on average during the past five years. The reason is for this writes Wade from the SMH, is fixed transaction costs. Some of the expenses associated with processing a donation – such as receipting, postage and even bank fees – are the same, or similar, regardless of the donation’s size. That means a bigger proportion of a small donation tends to get used up on administration.